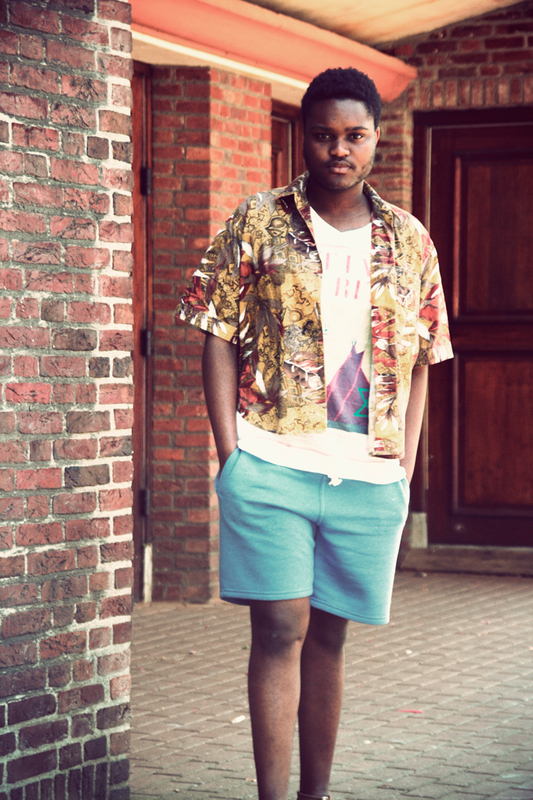 I was inspired by the Givanchy Spring/Summer 2012 mens collection to put this outfit together. I wanted to go for a sporty yet printed look. I really loved the graphic/hHwaiian like prints from the Givanchy show. When I was watching the show it felt like I was on a vacation in the future. I really wanted to get my hands on something with a print like that and luckily I found this Hawaiian shirt in my closed. I almost forgot about it but I am lucky I found it. So are you in to Hawaiian prints? love this shirt, the colors look stunning with your skin-tone! Heel erg mooi! Die kleuren staan je goed! Haha die rechterhelft van die derde foto 😛 Het ziet er een beetje uit als een kind met te grote voeten. Heel grappig! Your t-shirt and shirt are great together. It's a very nice combination. great shorts, lovely combo for summer, smashing! definitely they are looking good..though am not into hawaiian prints myself…to answer ur question!! Super outfit, staat je goed;) Ik vind die Givenchy print echt goddelijk! It is my hopes that I can eventually have a blogging community in which bloggers can really get to know other bloggers. I would love for you to be featured on my blog! If you would like me to interview you, just comment on my blog with your email address!